Okay, I know I’ve already lost some of you just based on the recipe title. Oxtail Stew. Yes, that’s right, I’m cooking with oxtails. Don’t look at me like that! This is slow cooked, browned meat deliciousness. Wipe your plate with a roll deliciousness. I know it’s one of the less familiar cuts of meat, but it is also one of the most delicious. So what if it comes from the fly-flicking end of the cow. I hadn’t made Oxtail Stew in a long time until I made this recipe recently. Oxtails used to be dirt cheap. Just about the cheapest thing in the meat counter but not any more. Actually, there’s not really anything in the meat counter that’s dirt cheap these days. But still, oxtails are a pretty good bargain. 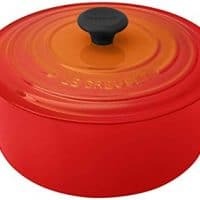 They make great soups and stews but keep in mind that they need long, slow cooking to break down the connective tissue and become melt in your mouth wonderful. I like to serve this stew over rice, but egg noodles are great, too. Season the oxtails liberally with salt and pepper. Heat the olive oil over medium heat in a heavy bottomed pan. Brown the oxtails very well on all sides and set aside. Good, thorough browning equals luscious flavor. To the pan, add the beef broth, garlic cloves, basil, oregano, bay leaves, and diced tomatoes with their juice. Return the oxtails along with any accumulated juices to the pan. 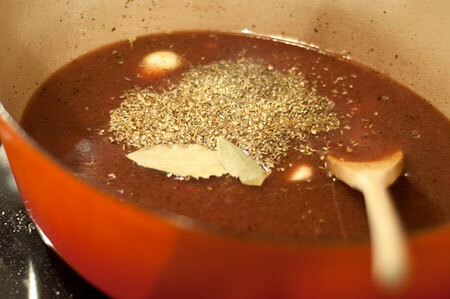 Bring to a boil, then reduce the heat to maintain a slow, steady simmer. Cover and cook for 2 1/2 hours. Add the onion, potatoes, and carrots to the pan and continue cooking for an additional 30-40 minutes or until the vegetables are tender. Use a slotted spoon to remove the vegetables and oxtails from the pan. 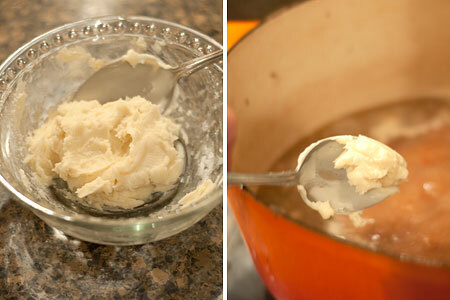 In a small bowl, combine the butter and flour to create a smooth mixture. Increase the heat to medium and whisk the butter-flour mixture into the broth a spoonful at a time. Taste for seasoning and add salt if needed. 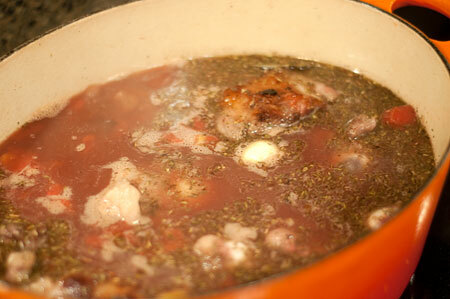 Return the oxtails to the thickened broth turning them to coat. Serve the vegetables and oxtails with thickened sauce over hot, steamed rice. 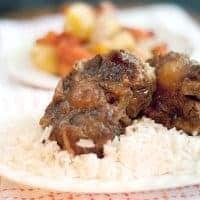 Oxtails browned and braised with potatoes and carrots, served over hot, fluffy rice. 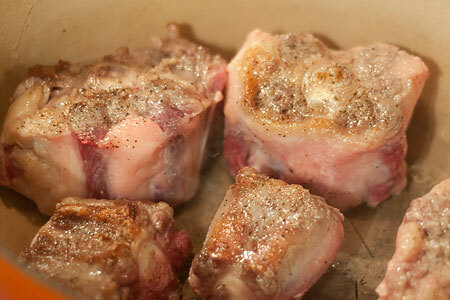 Season the oxtails liberally with salt and pepper. Heat the olive oil over medium heat in a heavy bottomed pan. Brown the oxtails and set aside. To the pan, add the beef broth, garlic cloves, basil, oregano, bay leaves, and diced tomatoes with their juice. Return the oxtails along with any accumulated juices to the pan. Bring to a boil, then reduce the heat to maintain a steady simmer. Cover and cook for 2 1/2 hours. Use a slotted spoon to remove the vegetables and oxtails from the pan. In a small bowl, combine the butter and flour to create a smooth mixture. Increase the heat to medium and whisk the butter-flour mixture into the broth a spoonful at a time. Taste for seasoning and add salt if needed. 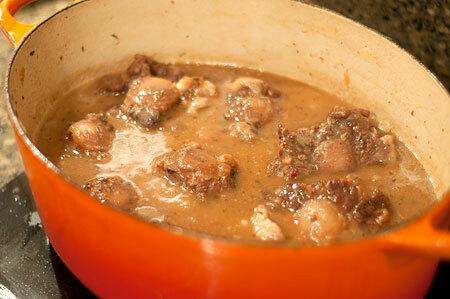 Return the oxtails to the thickened broth turning them to coat. Serve the vegetables and oxtails with sauce over hot, steamed rice. I’ve never had Oxtail, but I’ll try anything! Sounds delicious! I do hope you’ll give it a try, Amy. If you like beef, you’ll really like oxtails. Wow I remember many, many years ago my mother would cook oxtail stew. My sibling and I would not eat them. Back then I did not know what I was missing out on. Thank You so much for the recipes. Merry Christmas and a Happy New Years. It’s good stuff, isn’t it, Bill? I haven’t seen it on a restaurant menu in ages! You know how many times I picked up oxtail only to put it back. I never mustered the courage to cook it though I really would like to. 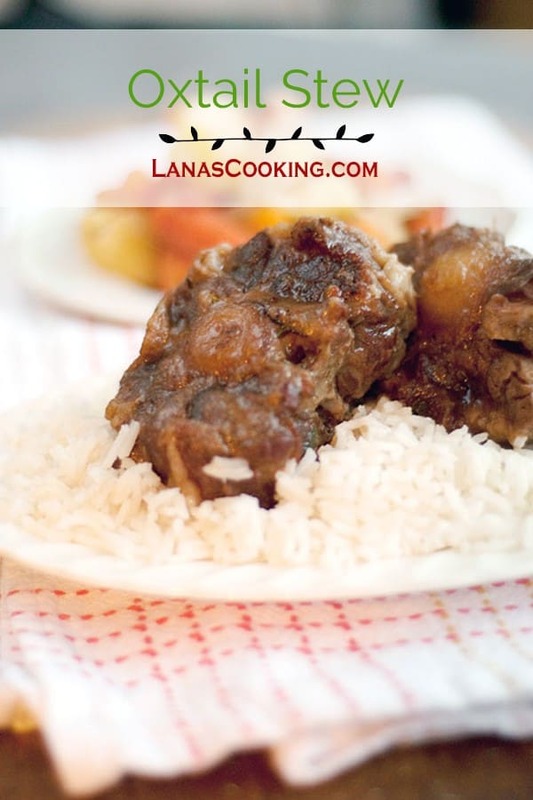 Your oxtail stew has so much depth to it, Lana, that I wish I could dig in right through the screen! These oxtails look amazing! I’ve never made them before, but now I have to! Oh yes, Angie, you surely need to give them a try! Oh I am the pickiest eater but I would totally try this!! I’ve never cooked oxtail but I’ve heard it’s quite delicious! I think I need to add it to my culinary bucket list! Yes, they are really delicious, Martha. Definitely give them a try sometime. I’ve never had oxtail. I would love to try this stew! I absolutely adore oxtails – so rich and tender and total comfort food. Your stew sounds delicious! Total comfort food for sure! Oxtail is delicious! They are so under used so I totally dig this recipe. I love oxtails, so you had my attention! This looks amazing and I can’t imagine how good your house smelled. Plus you are right, even the cheap cuts aren’t cheap anymore! Lana, do you remember the ox tail story that Gama used to tell? 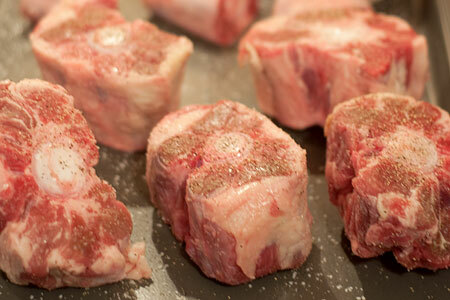 Your grandfather had a butcher shop in the grocery store and ox-tails were never in demand. 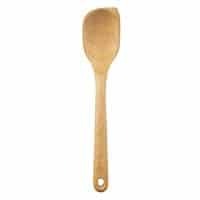 In order to put them to use, they sent them to school with your daddy to be put in the stone soup that the teachers would make during the morning for the children’s lunch. Remember this was before central heating, in rural America, a wood heater had to suffice. All the children would bring something to be added to a soup pot on the wood heater. Sounds like I am talking about another world, and actually it was. This had to be around 1938 or 1939. I LOVE oxtail stew. My favorite recipe has parsnips and port wine in it, but ANY oxtail stew is a good stew. Like you, I haven’t made it in a very long time. I’ll have to make some before winter is over. I, too, recall when oxtails were cheap. That was around the same time that flank steak was a cheap cut of meat, and you made stock with chicken wings because they were so inexpensive. If you want to carry on with “weird things people don’t usually eat,” how about a recipe for tongue? 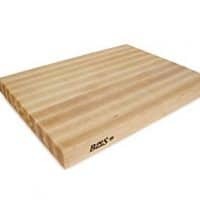 That’s another thing I have not had in eons…it makes great sandwiches. I tried the oxtail stew recipe today and it was amazing!!! I followed it step by step and it came out perfect. Today was my first time cooking oxtails and I’m so glad I came across your recipe. So glad it turned out good for you!